It’s that time of year again–please consider nominating Mineral Point educators for the following awards. They are some of the most prestigious honors that can be earned in the state. Your nominations make a difference as Mineral Point has had a winner each of the last two years–2018: Kris McCoy (Middle/High School Library Media Technology Specialist) and 2017: Matt Nevers (Middle/High School Band Teacher). Kohl Educational Foundation Fellowship Award: Teacher nominations for the 2019 Herb Kohl Educational Foundation Fellowship Award can now be obtained from http://www.kohleducation.org/teacherfellowship/public/nominate_a_teacher.php. The deadline for submission is October 8, 2018. Fellowships are $6,000, with an additional $6,000 grant going to the school of each Kohl Fellow. Established in 1990, the Herb Kohl Educational Foundation awards 100 Fellowship and 16 Leadership awards annually from among all applicants throughout the state. For teachers to be eligible, they must be nominated by a parent, student, other teacher, community member, or school administrator. Wisconsin teachers who instruct grades PK through 12 and who plan to continue in their current capacity for at least one year are eligible. The Herb Kohl Educational Foundation Fellowship rewards teachers who have demonstrated superior ability to inspire love of learning in their students, have motivated others, and have provided meritorious service both in and outside the classroom. 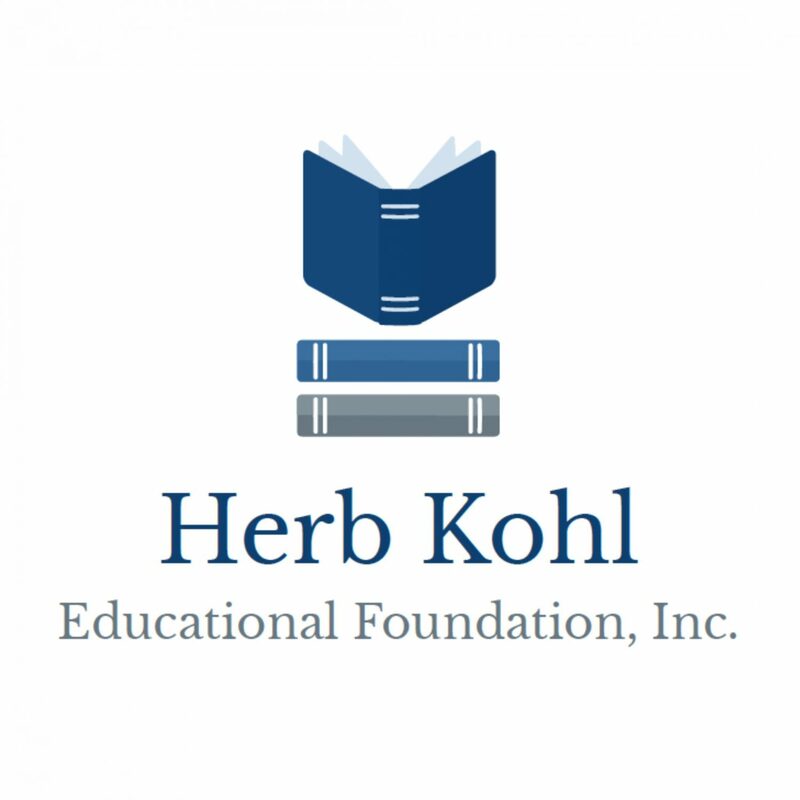 Kohl Educational Foundation Leadership Award: Nominations for the 2019 Herb Kohl Educational Foundation Leadership Award can now be obtained from http://www.kohleducation.org/principalleadership/public/nominate.php. The deadline for submission is October 8, 2018. Leadership awards are $6,000, with an additional $6,000 grant going to the school of each selected Herb Kohl Leader. The Herb Kohl Educational Foundation awards 16 Leadership Awards annually from among all applicants throughout the state. For principals and school administrators to be eligible, they must be nominated by a parent, student, teacher, community member, or other school principal or administrator. The Leadership awards recognize and support principals who demonstrate administrative leadership and positively influence school culture. Nominations will only be accepted using the website’s online nomination form. Selection of recipients will be made by a state-level panel composed of representatives from the Wisconsin Newspaper Association, cooperative educational service agencies, Wisconsin Council of Religious and Independent Schools, several education-related associations, and community representatives. The Herb Kohl Educational Foundation Fellowship and Leadership programs are co-sponsored by the Wisconsin Newspaper Association Foundation, Wisconsin Department of Public Instruction, Wisconsin Council of Religious and Independent Schools, and the state’s 12 cooperative educational service agencies. CESA winners will have their applications advanced to the state level in January 2019. State award recipients will be notified of their selection in March 2019. Recipients will receive their awards during recognition banquets in April 2019.